Homeopathy has long been provided on the National Health Service, but is it now in terminal decline? Even though homeopathy is to some extent tolerated within the NHS and despite there being three homeopathic 'hospitals', it is clear that it is in decline. 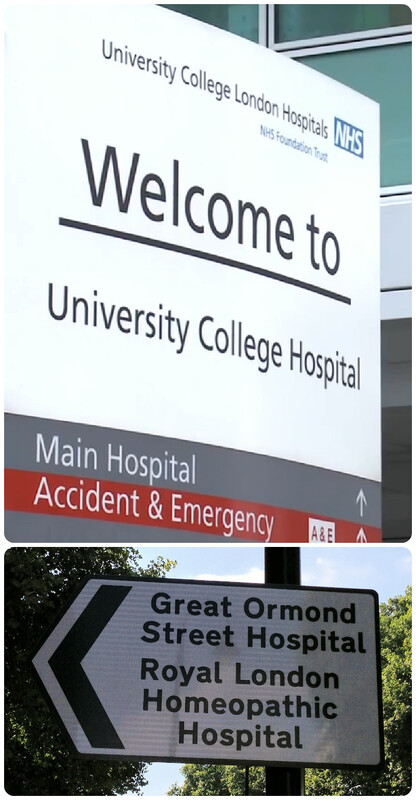 We know that these hospitals have been branching out into other areas and have even been re-branding themselves to move away from their reliance on homeopathy. But just because it's been a part of the NHS since 1948 does not mean that homeopathy is endorsed by the NHS or the Government as being an effective treatment. In our view, the systematic reviews and meta-analyses conclusively demonstrate that homeopathic products perform no better than placebos. The Government should stop allowing the funding of homeopathy on the NHS. A very clear, concise and evidence-based conclusion. Unfortunately, the Government replied that it would leave it up to individual Primary Care Trusts (now effectively Clinical Commissioning Groups) to decide on the provision of homeopathy in their areas. So how has homeopathy been faring? We can get a good idea by looking at homeopathy prescriptions in the NHS in England. Data on homeopathy prescriptions were obtained from Prescription Cost Analyses for England provided by the Health and Social Care Information Centre, with the help of a Freedom of Information Act request. These data may not show the total cost to the NHS as some items may be available via routes other than prescription. However, we believe they give a good indication of the number of prescriptions, the costs of these prescriptions and the average cost of a prescription. These data were published by the Department of Health and are available here. We think these pictures speak a thousand words. In the near future, we will be looking at where one particular homeopathic hospital gets a substantial chunk of its income from. The data for 2013 were released today and the charts now include the new figures. The downward trend of the last 17 years continues, with a further drop in the number of items prescribed of 15% from 2012 to 2013. But the cost per item is still increasing, with inflation-busting price rises of 40%, 13% and 11% from 2010 and a further 15% increase from 2012 to 2013, giving a doubling of the cost per item since 2009. The raw data for the charts can be downloaded here. We have had numerous successful complaints to the Advertising Standards Authority (ASA), the Medicines and Healthcare products Regulatory Agency (MHRA) and other regulators. New pages on our website detail these successes to date and we'll update them as we win further complaints. Note that in all cases, it is the regulator that decides whether any complaint is valid or not and it is the regulator that assesses the complaint and decides the outcome according to the criteria laid down in their rules, regulations and laws. We have no say in deciding these outcomes or the sanctions applied. Note also that any decision an advertiser makes about the future of their business or how they choose to conduct it after any complaint is entirely a matter for them. All we seek is compliance with the appropriate rules, regulations and laws. Further details of these complaints can usually be found in our News section. We will update our results list as new complaints are published. The full list of ASA adjudications and informally resolved cases can he found here. The following chart shows the various sections of the CAP Code and the number of points found to be in breach and not in breach of these sections, as identified by the ASA. It also includes the number of informally resolved cases. Five notices of complaints investigations have been published by the MHRA, covering some 29 sellers of homeopathy products. The full list can be found here. We have had several successes with Trading Standards but, unfortunately, outcomes are not published — unless a case ends up in court. For example, we had successful complaints concerning a number of conferences giving advice on cancer treatments and high street Chinese herbalists making claims in their shop windows. We hope to bring you full details in the near future. Our 100 complaints have been 'informally resolved' to the satisfaction of the CNHC, but they have published nothing about this. We will bring you more on this later. We have had successes with the Health and Care Professions Council with complaints about 39 podiatrists advertising the unlicensed Marigold Therapy, but unfortunately, they have not published the outcome on their website. …early morning sunlight passing through dew-drops on flower petals transferred the healing power of the flower onto the water. You feel guilty or blame yourself. These have been used as indications of what 'problem' each product is supposed to address. Bach Flower Remedies are made by soaking flowers in water and exposing them to full sunlight for three hours or by boiling them in water (and left to cool, outdoors of course). They are then diluted in "40% proof" [sic] brandy, diluted further with grape alcohol and then bottled. The final product typically contains 27% by volume of alcohol. …provide comfort and reassurance for daily stressful situations. There are even kits available such as the Emotional Eating Kit — and where would they be without their celebrity endorsements? There are now over 50 producers of flower remedies in the UK, but Nelsons is probably the most well-known one, selling products under the Bach Original Flower Remedies brand name with their trade marked ®logo. The newer ones are even woollier than the old ones, but maybe the shift was to move them away from sounding too 'therapeutic'? Bach finalised his set of 38 remedies in 1935. He died in 1936. There is little doubt that someone who takes Flower Remedies may well believe they have an effect, but maybe there are placebo effects at play. What does the scientific evidence say? It is concluded that ‘Five Flower Remedy’ had no specific effects in treating anxiety under these trial conditions. Efficacy of Bach-flower remedies in test anxiety: a double-blind, placebo-controlled, randomized trial with partial crossover. We conclude that Bach-flower remedies are an effective placebo for test anxiety and do not have a specific effect. The results suggest that BFE Rescue Remedy may be effective in reducing high levels of situational anxiety. This last conclusion might come as a surprise, particularly since the trial was double-blinded, randomised and controlled. However, Prof Ernst has roundly criticised this trial as 'data dredging', saying that the positive result is "clearly based on a post hoc analysis". It is clear there is no good reason to think Flower Remedies have any specific effects and therefore should not be considered medicines. This therapy is described as a “therapeutic system that uses specially prepared plant infusions to balance physical and emotional disturbance”. Normally, flower ‘remedies’ are ingested to provide ‘energy’ to overcome negative thoughts. CAP is unaware of a relevant trade body or regulatory organisation. The method seems to lack scientific rigour and is supported mainly by anecdotal reports. In the absence of more compelling evidence, marketers are advised not to make claims for the efficacy of this treatment (Rule 12.1). We've mentioned Product Licences of Right (PLR) before in relation to homeopathic 'medicines', but the same applies to Bach Flower Remedies: they were given a free pass over 40 years ago and allocated a PLR licence number. Like homeopathy, the manufacturers have not had to provide any evidence whatsoever for claims made for these products. It is an anachronism that can only mislead the public. The MHRA considers that it would be undesirable to use the current review of the Medicines Act and associated legislation to further perpetuate the existence of PLRs. This kind of licence, by its nature is envisaged as a pragmatic, temporary arrangement until products are reviewed and, where appropriate, moved to an ongoing regulatory scheme where they meet the relevant standards. It is highly desirable that product licensing schemes should reflect current regulatory standards and not represent a hangover provision from a number of decades ago. The review of the Medicines Act provides a suitable opportunity to bring the PLR arrangement to a close. This would also have the benefit for homeopathic products of achieving improved consistency of regulatory provision for labelling and advertising. This will better enable MHRA to regulate the market for these products. Improved patient information will benefit the consumer and facilitate informed choice. A number of PLRs are for Bach flower remedies. MHRA intends to take the position, against the criteria set down in European legislation, that such products should normally no longer be regulated as medicines. Indeed there are many Bach flower remedies on the UK market, (and we understand on the markets of other EU Member States) that are legally supplied under other regulatory categories, such as food supplements. This change would represent a useful simplification and create a more level playing field for suppliers of this kind of product. This didn't happen: there was no mention of this in the consolidated medicines regulations. However, the MHRA have not been idle. There may well have been lobbying from Flower Remedy manufacturers — we suspect there was, but we don't yet know. But as a result of an FOIA request we submitted a few months ago, we now know that Bach Flower Remedies are no longer classed as medicines and have been relegated to being just food. Question 4: Can you confirm that you still agree with your proposal of January 2011 that Bach flower remedies no longer be regulated as medicinal products? If so, what are the timescales for this? Response 4: The MHRA contacted Nelsons on 29 July 2013 to advise them that all Product Licenses of Right for Bach flower remedies would be cancelled and that products quoting Product License of Right reference numbers and that include homeopathic/medicinal references on their packaging must be cleared from warehouses within 6 months and must not be put on the market after 28 January 2014. However, such products already on the market may be sold through and will not need to be recalled. So, as of today, Bach Flower Remedies are not allowed to be placed on the market with a PLR licence number and they must have no medicinal or homeopathic references. That includes therapeutic indications, but exactly what that means isn't too clear. 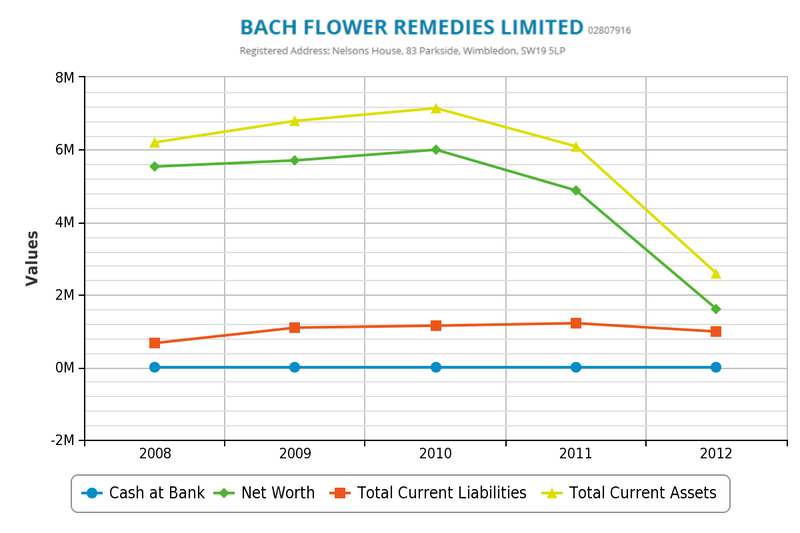 We should now (or at least after products have cleared the supply chain) no longer see Bach Flower products with misleading licence numbers and they should no longer have homeopathic/medicinal references in their packaging or their advertising. Since they are no longer medicines, they are just foods now and health and nutrition claims fall within the remit of EU Directive 1924/2006, as enforced by European Food Standards Agency (EFSA). In the UK, advertising claims under EFSA regulations are regulated by the Advertising Standards Authority. So, if advertisers of Bach Flower Remedies use the same claims as they have in the past, are they likely to be EFSA-compliant? Given the lack of evidence, it would seem unlikely: but it's very easy to check the EFSA Register on nutrition and health claims. The Bach Flower products are, of course, mostly alcohol, but even if the decoctions of the various flowers are in sufficient quantities to be considered ingredients, it would be easy to check the EFSA register for all 38. (b) nutrition claims, other than those which refer to a reduction in the alcohol or energy content. So, because Flower Remedies contain little more than alcohol, they are not allowed any health claims whatsoever. Whether the flower ingredients themselves warranted any authorised health claims is entirely moot. But are the words in the category names implied health claims? Is the woolly description for each product a health claim? Can they still be called 'remedies'? What about 'Rescue Remedy'? A German court gives us the answer. In Germany, there is no equivalent PLR scheme and in August 2013, a regional court in Bielefeld, Germany confirmed that Bach Flower products are indeed covered by the EFSA regulations (HCVO in German) and confirmed that medicinal claims were not allowed. This was a case brought by a trade association against a pharmacist who was selling Bach Flower products online. The association claimed unfair competitor behaviour from the pharmacist by falsely advertising both "RESCUE® - The original Bach® Flower mix" and "original Bach Flower essences" in general with health claims. Note the slightly different product names used in Germany — they don't include the word 'remedy', although this is sometimes seen on Bach products in Germany directly imported from abroad. The defending pharmacist was supported in their case by their supplier for these products, that in the court's judgement was referred to as "the German subsidiary of B. & Co. Ltd. from England", as "sister company of B. Ltd. - the producer of the original Bach Flower products", and as "the German sales branch for all their respective products". We believe this means that they were supported by Nelson GmbH in Hamburg, the German distribution subsidiary of A Nelson & Co Limited, the multi-million pound UK company that produces Nelsons homeopathic products. The accused argued that they didn't make any actual health claims but only referred to "potential improvements in general well-being". The court wouldn't have any of this, as they said the advertisement clearly refers to specific circumstances of life where the Flower products "could be" helpful, and the HCVO regulation asks for a broad interpretation of "health claims" to make sure consumers are protected: "even unspecific indications with reference to health are to be considered health-related indications under the HCVO". When the supplier argued to support the accused, they suggested their ordinary customer would not consider their claims as health-specific (which would require scientific evidence), but only expect that "those products were designed for and would have some impact on specific everyday emotional states". "These expectations are fulfilled by the Bach Flower products", they continued, "be it because of their energetic properties as ascribed to them by Edward Bach, or because of the reminder or suggestive function that accompanies their consumption." They would appear to be simply saying the products provide placebo effects and no more! But the court ruled these were claims towards psychological support and hence qualified as health claims no matter how unspecific the manufacturer thinks the claims were. So it does appear that even the woolly claims are not allowed, and the pharmacist was told to stop making them. If the pharmacist continues to make the stated claims, they can fine him up to €250,000 cash or send him to jail for up to two years if he doesn't pay the fine. That's worth repeating: up to €250,000 in fines or up to two years in jail. The pharmacist has to pay for the trial costs, and the Bach Flower company, who supported him in his defence, has to cover their own costs. It's good to see the MHRA finally catch up and cancel the PLRs for these non-medicines — even if it has taken 40 years — and we urge them to do the same for homeopathy PLR products so that the public are not misled into thinking they are medicines. However, now Bach Flower products are just foods, we look forward to manufacturers and all others who supply and advertise these products to fully comply with the EFSA regulations, enabling the public to make fully informed choices. We believe the German ruling sets a precedent that is binding in the UK, but if we have to test the various claims for Bach Flower Remedies with a complaint to the ASA, we will. Thanks to Sven Rudloff for help in understanding the German ruling and Aribert Deckers for bringing it to our attention in the first place. This section should be read in conjunction with the entry on ‘Therapies: General’. Bach flower remedies are described as “a system of 38 Flower Remedies to help mankind achieve joy and happiness”. CAP understands that at the time the Medicines Act (1971) was implemented, Product Licences of Right (PLRs) were issued to all medicines, including homeopathic remedies, and that a number of PLRs were granted for Bach flower remedies. In January 2014 the MHRA took the decision that Bach flower remedies would no longer be regulated as medicines but instead be classified as foods. Any health or nutrition claims made for foods must be made in accordance with those claims permitted on the EU Register and Annex. CAP understands that some Bach flower remedies contain levels of alcohol which would preclude them from bearing health claims altogether (Rule 18.17). While it may be possible for a flower remedy to carry a nutrition claim, the nutrition claims permitted for products containing alcohol are limited. Guidance on the transfer of certain Product Licences of Right (PLRs) to homeopathic marketing authorisations under the National Rules Scheme or to registration certificates under the Simplified Registration Scheme. A mouthful of a title, but its aim is clear: to encourage homeopathy manufacturers to transfer their PLR products to either the Simplified Homeopathic Rules (HR) Scheme or the National Rules (NR) scheme. Product Licences of Right (PLRs) were issued to all medicinal products on the market at the time that the Medicines Act 1968 was implemented (in 1971). PLRs were envisaged as a temporary arrangement until products were reviewed and, where appropriate, moved to an ongoing regulatory scheme where they would meet the relevant standards. Most categories of medicine, except homeopathic medicines, which were exempted under Directive 75/319EEC, were subsequently reviewed by the early 1990’s and products were either granted a full Product Licence or the PLR was revoked. Product Licences of Right (PLRs) holders are invited to transfer certain homeopathic products with PLRs to either homeopathic marketing authorisations under the National Rules Scheme or homeopathic registration certificates under the Simplified Registration Scheme. Unfortunately, the MHRA has not given a deadline, and the MHRA say they will transfer for free (for the time being at least), so that the manufacturers will not even have the burden of the usual fees they would have to pay for HR or NR applications. According to the MHRA's data (obtained through a Freedom of Information Request), there are 406 PLR products, most of which are homeopathic. These include 32 New Era products (that Seven Seas/Merck abandoned earlier this year), 319 Weleda, 54 Nelsons and one product from the (possibly now defunct) Anglo German Homeopathic Centre, based in Hereford. Products that are transferred to the NR scheme will be allowed indications if the manufacturer can provide 'evidence' for therapeutic use for that indication. 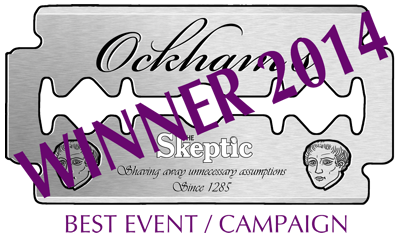 Of course, no actual evidence at all is required: they just have to show that it’s been used for whatever the condition by homeopaths in the past or provide a 'proving' for it. …followed by the conditions it can ‘treat’ as permitted by the product’s Public Assessment Report. Take Nelsons Teetha Teething Gel that was authorised last year (not to be confused with Nelsons PLR Teetha teething granules, pictured above). This has the official-sounding NR authorisation number NR 01175/0184 and has the 'active ingredients' Chamomilla recutica, Aconitum napellus and Atropa belladonna. Although these may sound dangerous — particularly the belladonna — these are all at 12C dilution, so, as long as they are properly and carefully diluted, under an adequate quality regime, there is just a 60% probability of it containing just one molecule of the original material if one mole of the original substance was used. This product's Public Assessment Report (PAR) give details of the product and its assessment. No new clinical data were submitted and none are required for an application of this type. In support of this application details of homeopathic provings and published scientific literature have been provided. These are adequate evidence to support the indications for which a national rules authorisation is sought. And what did this 'evidence' substantiate in terms of indications? Anyway, at least this limits what therapeutic claims can be made, even if they are not based on any measure of credible evidence. The same will apply to any PLR products transferred to the NR scheme. There are, of course, manufacturing standards to be met even for the HR scheme. Providing the dossier required by the MHRA for an application should be relatively trivial for any competent manufacturer, but some may well struggle. The contents of the dossier required for submission is given here: Homeopathic applications (Simplified Registration Scheme and the National Rules Scheme). There are ongoing periodic fees, but the periodic fee for a NR product is the same as that for a PLR; this measly £80 is only a tiny fraction of the fee required by the MHRA for 'Big Pharma' medicines and the periodic fee for an HR scheme product is zero. Allowing any homeopathic product to make therapeutic claims is hardly ideal and unwitting members of the public could still be misled into thinking these homeopathic products are real medicines, but at least this a step in the right direction for consumer protection. At present, the MHRA have not said when they would like all PLRs to be either ended or withdrawn, but we urge them to scrap PLRs completely as soon as possible. There is no reason why this anachronism should be allowed to continue any longer and we hope that PLR products will finally be consigned to history. A final word about 'provings': these are used to 'justify' the indications that are permitted for National Rules Scheme products. A pre-defined number of repeated doses of the homeopathic remedy are given to healthy volunteers until symptoms are experienced. These are collated by observers and distinctive symptoms common to multiple participants (which are most likely to be related to the medicine) are identified. According to the central homeopathic principle that ‘like cures like’, the remedy may have the potential to treat these specific characteristic symptoms. Most readers will be able to spot rather obvious flaws in this thinking. They also like to call them 'homeopathic pathogenetic trials', but they are not clinical trials in the conventional sense or indeed in any meaningful sense. We have more to say about provings and their status…but you'll need to wait for our next newsletter to find out! Since we started, we've been quietly submitting complaints to the medicines regulator about sellers of homeopathy 'medicines' who appeared to be not complying with various medicines regulations. It's time to let you know about our 30 successes. There are rules surrounding the advertising of medicines. There have to be to protect the public from misleading claims. It's illegal in the UK, for example, to advertise prescription medicines to the public. That protects the public being swayed by advertising gloss, spin and downright deception and probably saves many a GP from being bombarded by requests for medicines they do not need. 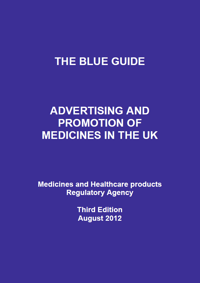 All medicines in the UK are regulated by the Medicines and Healthcare products Regulatory Agency (MHRA) and they publish their guidance on advertising in what they call their Blue Guide: Advertising and Promotion of Medicines in the UK. A special Annex gives guidance on the advertising of homeopathic medicines that also gives useful information on the underlying EU Declarations and legislation. There are no homeopathic medicines that have Market Authorisation because evidence of efficacy is required — a dizzy height homeopathy has never been able to reach, of course. Conventional medicines have MAs. There are under 500 homeopathic products that have Product Licences of Right, but the only requirement they had to meet to gain this licence was that they were on sale in 1971 when the Medicines Act 1968 came into force: no proof of safety; no proof of efficacy. In fact, all medicines, homeopathic or not, were automatically given PLRs by the MHRA’s predecessor, the Medicines Control Agency. But, by the early 1990s, most conventional medicines had been reviewed and either given a full product licence (MA) if they met the criteria (including evidence for efficacy) or they were withdrawn from the market. The MHRA allowed homeopathic medicines, Bach flower 'remedies' and Anthroposophic 'medicines' to remain with PLRs and continue to make claims about what medical conditions they can be used for. The MHRA was minded to remove this category a few years ago, but has unfortunately backtracked on that. One possible reason for this might have been pressure from the homeopathy industry, wanting to continue to freely make unevidenced claims about their products. We hope to say more about this and PLRs in a future newsletter. …followed by the permitted indications. Note that these indications come from historic homeopathic literature of what it's been used to treat or from 'provings'. These 'provings' (from the German Prüfung, meaning a test, not a proof), although called 'homeopathic pathogenetic trials' by some homeopaths, are not clinical trials in the conventional sense — but this yet another topic for a future newsletter. Whether or not an unsuspecting member of the public understands what this jargon means is a moot point. A full list of all NR and HR homeopathic medicines is available from the MHRA. Any homeopathic medicine not falling into one of the above categories is an unlicensed medicine. As such, there are strict rules on advertising them: it is illegal to advertise an unlicensed medicine to the public. The double-standards and the extremely low hurdle to be achieved by homeopathic products should be obvious. Unlicensed medicines cannot be advertised to the public. However, we have found may sellers of homeopathic medicines advertising outside these restrictions. We've highlighted a few in the past, mainly Holland and Barrett, but we have been complaining about others too. Because these have taken time to be resolved and have been resolved at different times, we've said little before now. However, now is the time to publicise our successes. Metro Health & Beauty Ltd. While many of these have been removed after being contacted by the MHRA, there are a few others, including several registered pharmacies, that have yet to make the necessary changes. Further action is being taken and we'll let you know the outcome in due course. Some of these complaints about registered pharmacies were passed to the statutory pharmacy regulator, the General Pharmaceutical Council. However, there are further issues they have yet to deal with. However, the MHRA were unable to take action against one seller, Doc Simon, because, although they have a UK domain name and look to all intents and purposes like a UK company, they appear to be based in the Czech Republic. It is not illegal to import unlicensed medicines into the UK for your own personal use, so there was nothing the MHRA could do about this website, even though they are advertising and selling to the UK. Unfortunately, the MHRA have not published the outcomes of these complaints, so it's been left to us to make people aware of them. We will continue to monitor all those websites, of course. Some of the major homeopathy manufacturers have already had to make changes to their websites after we submitted complaints to the MHRA, including Nelsons. We currently have several other complaints running — these are proving more time-consuming to resolve, but progress is being made and we will let you know when these are concluded. We've submitted complaints to the MHRA about many other advertisers of homeopathic medicines, including one ebay seller, Wingate, where we questioned several aspects of their advertising, including incorrect labelling of re-branded products. Again, the MHRA chose not to publish the outcome of these complaints on their website. However, the outcomes of our latest batch of complaints to the MHRA were recently published. As we've seen, the MHRA do not always announce the results of their investigations, so we welcome this publication that stands as a marker for other sellers that they have to check that their advertising is compliant. Advertising of kits of homeopathic medicines not authorised by the MHRA. We have since checked these websites and have notified the MHRA that we believe some of them are still in breach of the advertising regulations. Others are no longer advertising any homeopathic products. We believe this is good progress and we hope the MHRA will publish the outcomes of future complaints. However, the MHRA is still dealing with some seven others, including some Registered Pharmacies and homeopathy manufacturer. Once these have been concluded, we'll publicise the results. Out of this last batch, there are a couple of particular interest. This website was one of the main sellers of a homeopathic product called Schüssler (Schuessler) Tissue Salts. These have been touted as the replacement to New Era — owned by Seven Seas, who in turn are owned by pharmaceutical giant Merck — tissue salts (which had a PLR) that were withdrawn earlier this year. The New Era brand seems to have been sold to Olimed Limited, a subsidiary of Italian company Named SpA, so we can probably expect to see these products re-appear in the future. This website was selling products manufactured by Heel GmbH, but the shop facility closed after our complaint. This range includes all sorts of homeopathic products, some of which are injectable. As these are neither registered nor authorised by the MHRA, they are unlicensed medicines. Recently I have been hassled by the never ending growing body of rules and regulations which are set out here in the UK regarding homeopathic remedies and the Heel remedies. It is a vicious monster in my opinion and does a great deal of harm. Fortunately we have set up a system which enables me to contiue to supply and help you obtain the Heel remedies. So, do not worry. I have your back. Although I now understand why many practitioners in the UK baulk at the prospect as it is difficult and requries stamina to say the least. Thick skin?! I think so! However this is my problem not yours. I will continue to provide access to you of the complete Heel range of remedies. I may in future be updating the blog in the private shop site and not the public site in order to comply with their regulations. I get very annoyed as due to their regulations they make it extremely difficult and expensive for most people to obtain what I think is an outstanding range of homeopthic remedies which go such a long way to helping people maintain phenomenal health - so how dare they do everything they can to make them extremely difficult to buy and obtain? C'est la vie - we are in a society run by so many rules that they counteract all the good they are supposed to do. Do you have any inspiring quotes that help you get through tough situations? If you do, just reply to this email! I'd love to hear what helps you when times are tough. I think of it as fighting an ongoing battle - you and I together. We will live on another day and keep on fighting this battle! And finally my "call to arms" - please pass on the private shop link to friends and family and colleagues. Help me continue to keep helping those who know drugs are not the answer. So, instead of simply obeying the statutory medicines regulator, Bell opened up a new 'private' shop where she could carry on selling the unlicensed homeopathic medicines to her customers. We passed her email on to the MHRA; the shop facility no longer exists. Although she is the main seller in the UK, Heel GmbH homeopathic products are still available from some other suppliers, so we’ve pointed these out to the MHRA. As we have explained above, the regulation surrounding the advertising of homeopathic 'medicines' are fairly straightforward and easy to understand. They are not arbitrary and complying with them is not optional: they are legal requirements. That so many homeopathy traders and advertisers have been found to be non-compliant suggests a wide-spread disregard for the medicines regulations, which are there to protect the public from misleading, false and unsubstantiated claims. All homeopathy manufacturers, advertisers and sellers have an ethical and legal obligation to abide by them — whether they like them or not. Our fourth complaint against the Royal London Hospital for Integrated Medicine shows yet another a very fragile evidence base — but what will UCL Hospital Trust do about it? Of all the complementary and alternative therapies, herbalism remains much the odd one out — there is at least some prior probability that many plants or plant extracts will have a pharmacological effect on humans. Indeed, there is some evidence that some herbal products have beneficial effects. 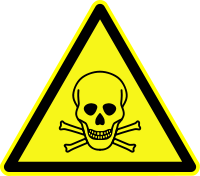 There is, of course, also good evidence that many herbal products are dangerous and can cause severe side effects, even death. And that's ignoring the adulterated and contaminated products. The appeal to nature fallacy abounds amongst many promoters of herbal products, but natural implies neither efficacy nor safety — each claim must be looked at separately and the evidence considered. When we came across a leaflet advertising the Western Herbal Medicine service of the Royal London Hospital for Integrated Medicine (part of UCL Hospital Foundation Trust), we wondered if they could substantiate the claims they were making. So we submitted a complaint to the Advertising Standards Authority (ASA), who regulate advertising. That was three years ago, and, after a long and thorough investigation, the ASA's adjudication on our complaint is published today, upholding 10 out of 11 points. Western Herbal Medicine usually consists of a bottle of alcohol-based tinctures, with up to five different herbs mixed together. We will have more to say about the quality of some herbal medicines used at a later date. The ASA challenged each of eleven conditions and asked the RLHIM to provide evidence for all of them. …the body of evidence supported the claims that herbal medicine could be used to treat the listed conditions. The ASA and their expert disagreed. RLHIM provided a total of 69 papers in support of their claims. For many of the claims, the ASA concluded that while some of the evidence provided supported some specific claims falling within rather broad categories, they concluded that the RLHIM had not provided enough robust evidence, covering a range of conditions that could be inferred from the broad categories listed. For example, for the first category of 'digestive disorders', the ASA rejected the evidence provided for inflammatory bowel disease but were happy with the evidence provided for irritable bowel syndrome and functional dyspepsia. However, the ASA didn't consider that those two latter conditions adequately covered the claim being made for 'digestive disorders'. Accordingly, the ASA concluded that the claim was unsubstantiated and misleading. Many of the other claims were similarly unsubstantiated because of the broad nature of the claim: urinary disorders, allergies, joint problems, skin conditions and recurrent infections. No doubt, if they re-publish the leaflet, they will be able to limit their claims to the specific conditions they have good evidence for, but, instead of the rather wide-ranging impression given on the original leaflet, a rewritten one might look a bit sparse. The other RCT also lacked from precise product definition. The systematic review was also lacking in detail and robustness. half of the studies submitted lacked sufficient details on design, methodology and/or statistical analysis to be considered suitably robust. The evidence for the remaining herbal medicines was weak. most of the studies provided were of a poor methodological quality, with limitations including flaws in the statistical analysis, small sample sizes and short treatment durations. the authors of the ginseng study concluded that that study alone was not sufficient in demonstrating the overall efficacy of Siberian ginseng in reducing fatigue. both studies contained a number of weaknesses that limited their usefulness as evidence for the claim: these weaknesses included: small study sizes; short study durations; lack of a demonstration of statistical significance; lack of power calculations and a lack of detail on methodology and randomisation. It is damning that this is the best evidence that an NHS hospital can come up with for the treatments it provides at the taxpayer's expense. But, even though there is at least a level of plausibility of herbal products, the RLHIM wasn't able to do much better than it was for acupuncture. The RLHIM provided evidence that kava kava was effective for anxiety — even though this was for the claim about stress, not anxiety. However, that would be fine except that the medicines regulator banned the sale, supply and importation of any kava kava based product in 2002 because of widespread concerns about its hepatoxicity. So, even if it is effective, the RLHIM would not have been able to legally prescribe it. The ASA, rightly, rejected this as evidence for the claim. But they were able provide evidence that satisfied the ASA for their claim about migraines, so the ASA did not uphold this point. However, the reports provided for migraine prophylaxis (ie prevention of migraines), not relief of migraines themselves. We argued that a reader would infer from the claim for migraines, that they could provide a herbal medicine that would alleviate a migraine headache. The ASA were not persuaded by our argument. In an attempt to substantiate their claim about 'recurrent infections', the RLHIM provided evidence for acute bronchitis, acute rhinosinusitis, acute respiratory infection, the common cold and upper respiratory tract infections. The ASA accepted some of this (including the use of Echinacea for the common cold) and rejected others. However, the ASA noted that the claim was for the treatment of 'recurrent infections' not just these respiratory conditions. The ASA therefore ruled that the claim was misleading. It should also be noted that, as an NHS hospital, referrals to the RLHIM for treatment can only come from your GP or an NHS consultant. It does not seem likely that a GP would refer you to the RLHIM just because you had a cold — recurrent or otherwise. After all, Echinacea products are easily available from any supermarket. The ASA upheld the complaint on 10 of the 11 points, declaring that the RLHIM ad breached the CAP Code on no less that 30 counts. The claims investigated and found to be in breach of the Code must not be used again. We advised UCLH to take care in future advertising not to over claim when making general claims for services using herbal products. Conditions for which some herbal medicines were found to have some effect included: functional dyspepsia, IBS, premenstrual syndrome, back pain and OA, depression, some forms of acute infections including acute rhinosinusitis, the common cold, uncomplicated upper respiratory tract infections, influenza types A and B and migraine. So, this should now form part of the guidance for advertisers and we expect CAP to update their guidance. All other advertisers of herbal products should now take note and ensure their websites, leaflets, etc comply. We don't know exactly what papers the RLHIM submitted, although an FOIA request — or a bit of detective work on Pubmed — would disclose them. But some of the herbal extracts in those papers are identified in the ASA adjudication. However, what the RLHIM provided was a list of papers that tried to substantiate the claims made in the leaflet: what is not entirely clear is whether the herbal products in those papers are actually the ones used by the RLHIM in their treatments. For all we know, they may provide completely different herbal treatments — indeed, that may be even quite likely given the difficulty they appear to have had in coming up with good evidence. So, it is left as an exercise for the reader to marry up the products mentioned in their evidence with a list of herbal products stocked at the RLHIM, obtained through an FOIA request earlier this year — this spreadsheet contains all the data. Yes. 51 CAP Code breaches from just four leaflets. The RLHIM have also been told to change their claims for craniosacral therapy and reflexology in line with our master complaints. We did look at their leaflet advertising their homeopathy services, but it made no substantial claims about homeopathy. This now leaves their website and their leaflet collection looking a little sparse — many website pages (such as their reflexology page) now only link to a login page so that the content is hidden from public view. These successes have all been through complaints to the ASA. But we have also been using the medicines regulator, the MHRA, and the HCPC (the regulator of podiatrists and chiropodists and other healthcare professions) to ensure that the unlicensed Marigold Therapy products are only used and advertised by those legally entitled to do so. Since most podiatrists and chiropodists are not permitted to supply unlicensed medicines, we reported 39 websites advertising Marigold Therapy to the HCPC and we will report more on this part of the campaign in a future newsletter. But of course, this is not just about the words they use in their leaflets or on their website. At what must surely be the most prestigious and highest-profile organisation promoting and using all sorts of alternative therapies, it should have been straightforward for them to defend the claims they made. But as we've already seen, they were unable to provide the quality of evidence required by the advertiding regulator. What is more worrying is the potential lack of good evidence for the treatments they use on their patients. This cannot be good for the public who are referred to the RLHIM: if they don't have the evidence for the treatments they provide at the tax-payer's expense, then why are they providing these treatments at all? And, as one of the hospitals within University College London Hospitals NHS Foundation Trust, their Board of Directors and Governing Body must now ask important and long-overdue questions about the evidence base for all treatments provided at the RLHIM. They may have simply tolerated the historical anachronism that is the RLHIM up till now, but, after this latest round of embarrassment for UCLH, it is surely about time these fundamental and serious questions were asked and decisive action taken.